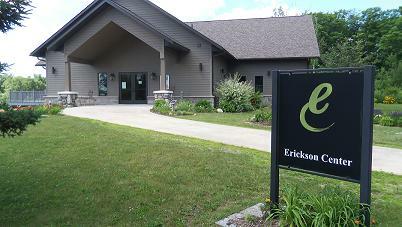 The mission of the Erickson Center for the Arts is to enrich the mind, body and spirit of the Eastern Upper Peninsula communities we serve through the presentation of artistic and cultural exhibitions and programs. We strive to facilitate experiences that will encourage personal growth beyond our walls and our community. We envision the Erickson Center for the Arts to be the heart of northern Michigan’s educational, cultural and recreational experiences. Creativity: We believe that by providing opportunities to express themselves, individuals will achieve their full potential. Diversity: Recognizing and respecting individual needs, we will provide a wide-range of unique and interesting services and programs. Excellence: We will strive to exceed expectations by offering quality experiences. Outreach: We will actively seek new ideas and partnerships for the mutual benefit of the community at large. Responsibility: We will ensure that all available resources will be utilized to support the Mission and Vision of the Erickson Center for the Arts. Teamwork: In the spirit of togetherness, we will encourage open participation with mutual trust and respect.